The spectral content of sunlight is influenced by a number of atmospheric factors, including the amount of water vapor and other aerosols in the atmosphere. 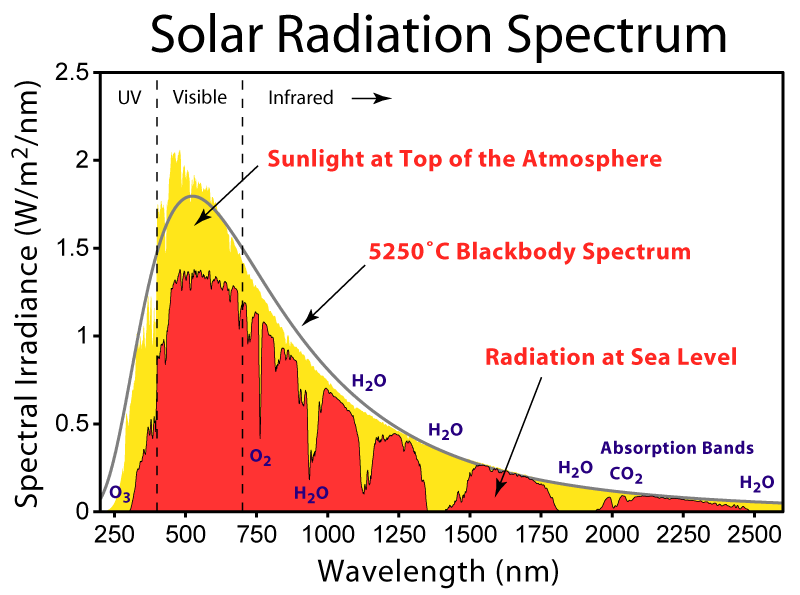 The figure below compares spectra at the top of the atmosphere, from a theoretical blackbody at 5,250 deg C, and for typical sunlight at sea level. Major absorption bands are shown for water and CO2.